We are a full service petroleum marketer of Top Tier™ gasoline and high quality diesel, offering supply and distribution solutions to organizations and individuals on the islands of Maui and Hawaii. Hawaii Petroleum, LLC is the leading independent petroleum marketer on the islands of Maui and Hawaii. With a longstanding history of excellence and professionalism, Hawaii Petroleum’s mission is to be the preferred provider of petroleum products and services. We have base yards and wholesale operations in Kahului, Hilo, and Kona, Minit Stop convenience stores and Ohana Fuels branded retail stations throughout both islands, and the Hawaii Fueling Network (HFN) Fueling Card which is accepted at over 20 cardlock sites and Ohana Fuels stations. We provide Top Tier™ gasoline and high quality diesel fuels for HFN and bulk sales as well as many Premium lubricant brands. 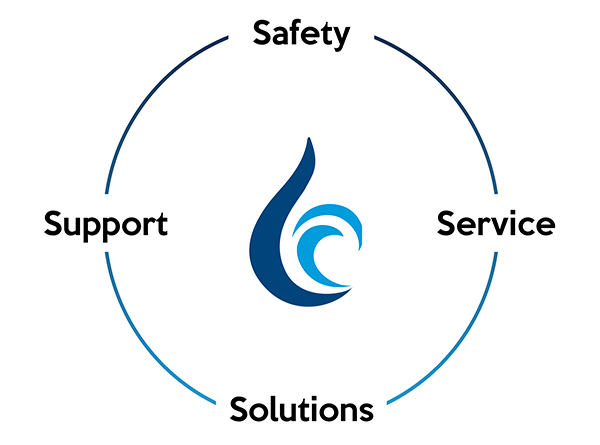 Our committed, customer-focused team has the industry experience and expertise to develop individual solutions to meet your petroleum distribution and supply needs. With competitive pricing, our 7 day a week service offers 24 hour emergency and on-island support to service your needs. We are a full service marketer of branded lubricants and greases, offering supply and distribution solutions on the islands of Maui and Hawaii.